Legion is just under 26" and is a even 90lbs. Perfect show dog in my eyes, his daughter already won the hearts of many judges. He has the perfect running frame and a big solid head but isn't bulldog stubborn whatsoever. His owner praises him constantly because of how protective he is of his home of 3 children and how well he gets along with other dogs. 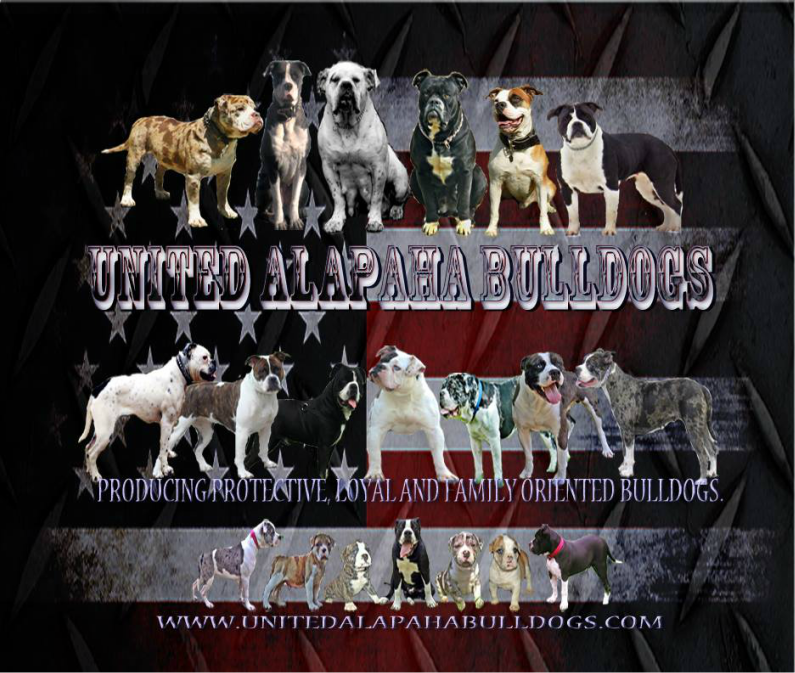 You will see many future breedings from United Alapaha Bulldogs with Legion. He is the typically old school plantation bulldog that's made for working, running, and hunting.